NOTE: Since I posted this transcription, I have received some information about one of TJ's friends mentioned in the article, Tom Thomas, who was an exchange broker at Strachan & Thomas. Tom Thomas was one of the earliest Europeans in foreign trade in Yokohama and set up his business at 71 Main Street on January 1, 1864. "For the first few years an export business was done in uncoloured Japan tea, but the principal line was raw silk in the handling of which Messrs. Strachan & Thomas were among the largest houses, as they were among the first. The silk export trade was specialised in until about 1900 or a little later. In imports the old firm was early noted for Manchester cottons and cotton yarns, and Bradford goods, in which lines they have always held a premier position. It was about 1880 that the firm became W. M. Strachan & Co., and in 1894, when the business had grown far beyond the original conceptions of its founders, it was turned into a limited liability company with a registered capital of £50,000"
Thomas had a house on the Bluff, in Yokohama, where he had the misfortune to die in the Great Kanto earthquake of 1923. He is buried nearby in the Yokohama Foreign General Cemetery, along with his wife and daughter. The accompanying picture shows the late Sir Thomas Jackson at the age of about thirty, and was given to me by himself in the early seventies at a period when the exchange of photos between young men who were intimate was more of a custom, I fancy, than it is now. Perhaps because there were fewer of us and we were consequently thrown more together than in these high pressure times. Certainly very close friendships were made in those early days, which stood the test of time, and that only the last roll-call, as in the case of Sir Thomas Jackson and many others, brought to an end. A glance of what was a speaking likeness of “T.J.” as he was familiarly called, when I first knew him, brings back to memory a flood of happy recollections and recalls vividly his genial personality which was always in evidence, whether sitting in his private office at No. 62, where the Bank premises then were, or in social life, where his cheery manner and boyish spirits, his bright wit and fascinating Irish brogue, had a magnetic influence on all around him. He was very fond of personal chaff, of which there was a great deal in those days, but it was the innocent chaff of the moment, forgotten almost as soon as uttered, and never left behind it the slightest ill-feeling having no arriere pensee. And so the little coterie, who used to meet continually at each other’s houses, numbering amongst them Messrs. W.M. Strachan, Tom Thomas, Jack Fraser, E.M. Farley, Charles Bland, Dickie Robison, Ned Whittall, myself and others, although dispersed through time and distance, never forgot the early friendship, and whenever they met in after years showed by the warm hand-clasp and affectionate greeting that the happy memories of long ago were still in their hearts. Of the names afore-mentioned, W.M. Strachan, Tom Thomas, and myself are still to the fore. We were all bachelors, and, with business good and nothing to worry us, life was a pleasant thing in the early seventies. Not the least pleasant part of the day was the early morning at the Racecourse or the forenoon cocktail at 68 (Strachan & Thomas’s office next door to the Bank), to talk over the events of the morning. Speaking of the Bank premises, it may interest the younger generation to know that while the main entrance was where Caudrelier’s door is, “T.J.”’s private office entrance was in the side street just round the corner, and was guarded, when its usual occupant was absent, by “John Jose” a black and tan terrier, the friend of all brokers and well known constituents, but the terror of strangers or of anyone he thought had no right to be there. The office had for its occupant immediately before “T.J.” John Gregor  , and afterward John Walter  , Edward Morriss  and several other managers. At the present time when Miyanoshita [NOTE: A resort area in Hakone] is so much in evidence, I am reminded of what I think was my second visit there in the summer of 1870 or 1871, which I remember because “T.J.” was one of the party, and also Tom Thomas, beside myself and two military men – George Helm of the 10th Regiment and Lieutenant Oldbalm of the Engineers.No Fuji-ya in those days, only Narayas and no food or furniture supplied except what could be packed up in the way of ordinary belongings of a Japanese tea house. We slept on mats with a futon below and above us, and as regards food and drink everything was taken up from Yokohama, and sent on by the Boy and Cook some days ahead of us, our means of getting there being by carriage to Odawara and then by kayo or on foot. There as elsewhere “T.J.” was the life and soul of the party, which, beside those named, comprised Mr. and Mrs. Marshall, of MacPherson & Mareball  , the acknowledged leaders of society in those days, and W.G. Aspinall, Miss Aspinall being about the only young lady in the Settlement, and naturally a great attraction to all the young men. I could write at great length about picnics, race meetings and festivities of all kinds in which “T.J.” took an active part, but I am going to hurry on with a few reminiscences of one of the brightest and happiest episodes of my long life in the Far East, namely a stay with T.J.” of some four weeks in the old private Bank House at St. John’s Place, Hongkong. No doubt this faculty of throwing off business worries accounts for the great intellectual vitality and alertness while he was at work. We know what he made of the Bank, and he died as he would have wished: “in harness” at his desk in the Bank. Peace to his Memory, for the sake of Auld Lang Syne. John GRIGOR was employed as an accountant at the Bank of Hindustan, China and Japan and eventually became a manager of Yokohama. 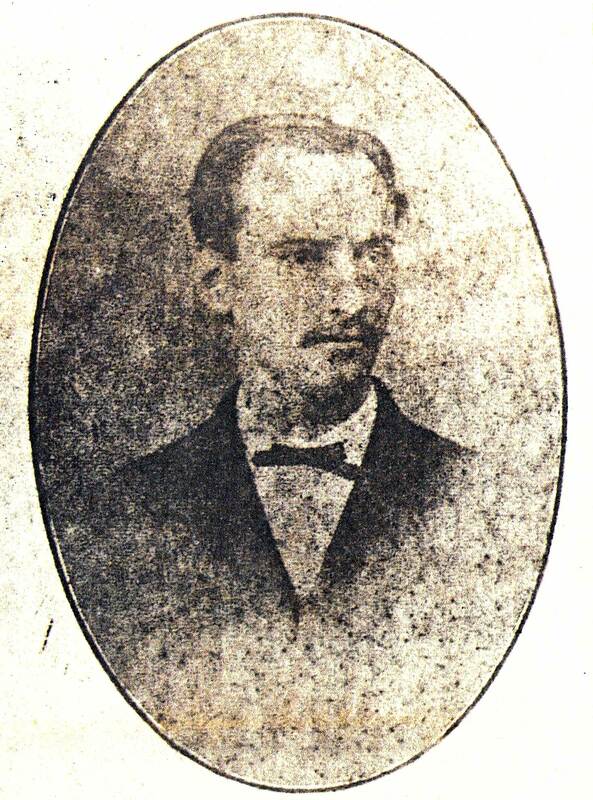 John WALTER worked at Dent & Co. Shanghai prior to becoming Manager at Yokohama. MacPHERSON and MARSHALL were the Bank’s agents in Yokohama. James Pender MOLLISON (1844-1931) came to Japan in 1867. Having been a tea inspector in Shanghai, he engaged in the export of tea from Yokohama, initially for Fraser & Co. He eventually became a partner, and, in 1884, the company was renamed Mollison & Co. In addition to exporting tea, he was the agent for Nobel in Japan and the first importer of dynamite. Mollison was head of the Chamber of Commerce in Yokohama, a founder of the Yokohama Cricket Club (now Yokohama Country and Athletic Club), and was also involved in the Yokohama Foreign Cemetery management. He is buried in the Foreign Cemetery.SOURCE: 14/08/2006 email from Ruth S. McCREERY. See also Find-a-Grave.